Two seat leather sofa in faux or genuine leather choices with a durable metal frame in Chrome or Aluminium Silver. Available for delivery in roughly 20 days from order. Designer sofa also available as a tub chair option. 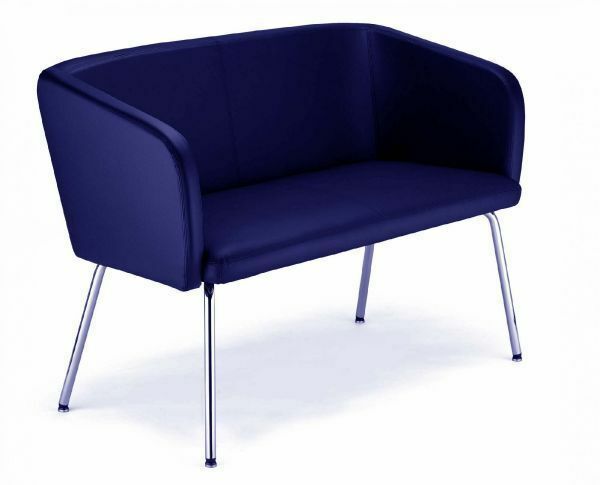 This range of furniture is perfect for an upmarket, modern waiting or breakout area. Manufactured to a very high standard for commercial use.